Hurricane season is less than five months away. As much as we all hate the sound of those dire words, it’s important to prepare accordingly year round, especially if we have vulnerable family members such as grandparents or small children. We must be diligent in our preparations in the event of any natural disaster, especially when it comes to protecting the vulnerable elderly population. As Floridians, many of us native to the state, we’ve learned how to prepare our “just in case” supplies ahead of time and store them “for a rainy day”, hoping we won’t need to pull them out and use them. Floridians as a whole became complacent in the wake of 2017’s deadly Hurricane Irma, when she struck our state with a vengeance at the last minute, leaving most of South Florida without power for days or weeks and in complete disbelief that this could happen to us. The state of Florida has since recovered, our lives went back to normal, and many neighborhoods benefitted from strengthened and repaired infrastructure following the storm, but there was still a sense of fear instilled in all of us. For over a decade South Florida hadn’t experienced a significant weather threat and this left us more relaxed than we should be; prior to Irma, Wilma was the last storm to wreak havoc on South Floridians lives and cause damage to property. With the chaotic 2017 hurricane season, we were painfully reminded we must be accountable for our preparations, even if we don’t need them. We must be especially conscious of providing assistance and preparation for those who cannot complete the tasks themselves. The elderly are a population of Florida’s citizens that may need this assistance the most. While many of us have learned this lesson and are preparing accordingly, there are still many places in South Florida that are neglecting to do so. Residences such as nursing homes and assisted living facilities have still not upgraded their backup generators to provide better care to some of the most vulnerable demographics of our population: the elderly, children, and the disabled. Florida has an extremely large population of senior citizens because of our (most of the time!) comfortable weather. Senior citizens find rest and relaxation living out their golden years in sunny Florida minutes away from the beach. 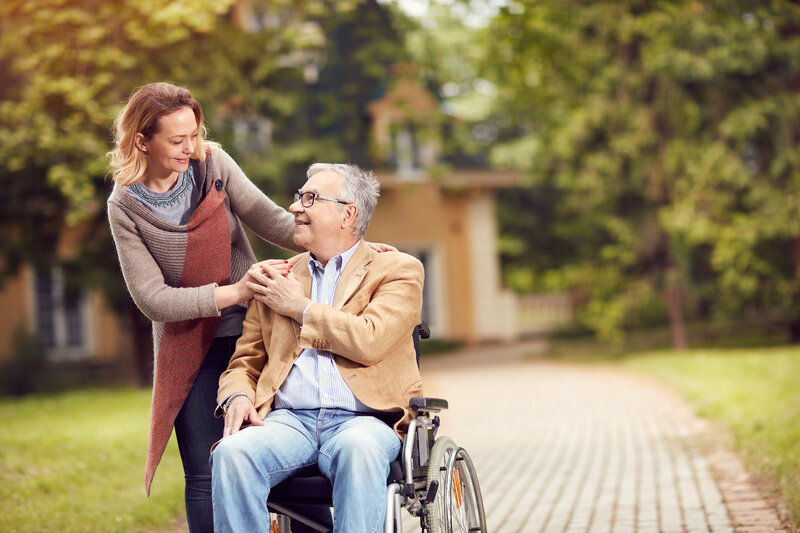 However, should they become ill, unable to care for themselves, and require more care than a family member can give them, a nursing home may be the safest place for them to be looked after. Unfortunately, not every nursing facility is created equally, and some have failed to protect this vulnerable population from coming to serious harm (and even passing away) during natural disasters such as Hurricane Irma. To better inform senior citizens and their loved ones of what to look for when checking your elderly family member into a nursing home, Shaked Law Firm’s Law Resource has compiled a go-to list of everything you need to know not only to keep children, disabled, and elderly family members safe during Hurricane Season, but year-round. When it comes to elder care, the needs of senior citizens differ from those of the general population. For example, while most of us drink when we’re thirsty and can maintain our health on the recommended 8-glasses-per-day rule, the elderly have specific hydration needs that must be looked after. This need can be more or less, depending on health conditions that may be exacerbated by excess fluids or lack of fluids (dehydration). Aside from dehydration or excess fluid intake, the elderly have other needs that are not generally found in the younger population. Dietary considerations: the elderly have specific dietary needs that must be met, preferably at the same time each day both to maintain or improve health and, to provide a sense of routine for those who have showed early signs of Alzheimer’s or Dementia. These dietary needs are meant to improve brain function, bone health, liver, heart, and kidney function, as well as provide adequate vitamins such as C, B, D, and A. As we age, our dietary needs change with us. 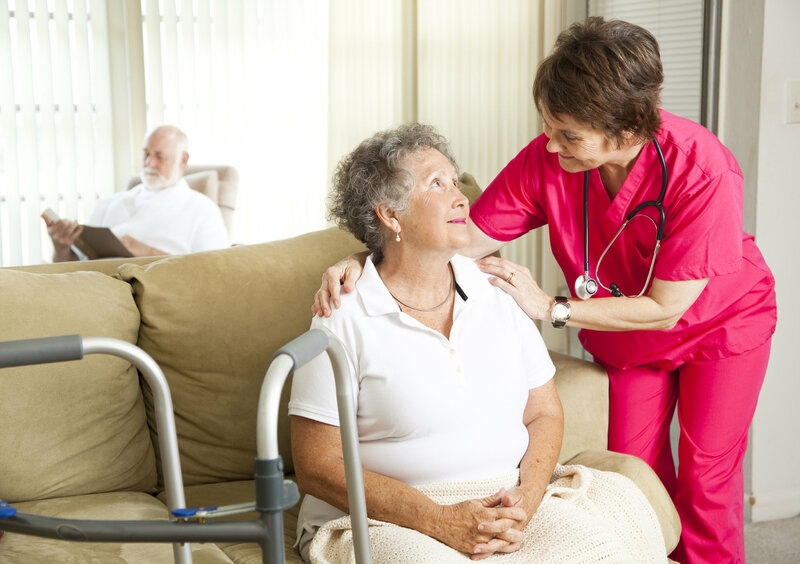 Nursing homes must do their due diligence to provide residents with meals that meet their specific needs. Physical activity and mental stimulation: whether a senior citizen is wheelchair-bound or can still move around and enjoy a more active lifestyle, ensuring that the elderly have enough physical activity and mental stimulation is equally as important as the dietary and medical considerations that must be made. Providing for a senior’s physical activity can mean working with a physical and occupational therapist, swimming with the assistance of a nurse or CNA (Certified Nursing Assistant), or engaging in activities such as card games, bingo or checkers to keep the mind active. A note of compassion: Some senior citizens suffer depression or anxiety, and don’t want to get out of bed in the morning, especially if they’ve been diagnosed with Alzheimer’s or Dementia in which anxiety, depression, and overwhelming feelings of dread are common. It’s important for family members and nursing home staff to engage the elderly person as much as possible to provide mental stimulation and bring joy to their life. Those with Alzheimer’s can have prolonged, healthier lives when engaged in social activities that provide mental stimulation to keep the brain healthy. Medical care: senior citizens (and the disabled) have an entirely different set of medical needs than that of the average population. When it comes to the medical care of senior citizens, there is more to consider than those of us who live in our own homes and can visit a doctor on the off chance we catch a cold or sprain our ankle. When it comes to elder care, many people are unaware that health conditions can change overnight. Sudden Onset Pneumonia in the elderly can be deadly and medical attention is needed immediately. Keep resident rooms clean and free of dust, mold, mildew, and other common allergens that can trigger a bacterial infection. Maintain a comfortable temperature for the resident and throughout the facility; the elderly are more susceptible to cold weather and frigid air conditioning temperature, therefore it’s necessary to check the thermostat and service it whenever necessary. Provide residents with blankets, sweaters, and hats during colder months (yes, even in Florida!) to prevent Sudden Onset Pneumonia. Don’t ignore symptoms even if they may seem like “nothing serious”. It’s important to pay attention to coughs, sneezes, and other respiratory sounds that a resident may suddenly make because this could be a telltale sign that pneumonia may be about to set in. Now that we’ve offered a go-to guide for senior-specific needs, we’ll further provide a look at exactly how caregivers such as nurses and CNAs in nursing homes can be more diligent in providing the care necessary to keep senior citizens safe and healthy. This information can be used year-round in the event of any emergency, even if some of the points made may seem specific to hurricane season. Backup generators: backup power in the event of a hurricane is non-negotiable when it comes to caring for Florida’s senior population. In September of 2017, more than a dozen of Florida’s senior citizens tragically passed away due to the lack of power in their nursing facility. This was completely avoidable, and simply negligence personified on the part of the staff. While the facility claimed to provide hospital-level care, they did not follow through on their promises and many families lost loved ones prematurely due to the nursing home’s negligence and outright carelessness in assuring that every residents’ needs were met during and after the storm. Nursing homes must have an adequate backup power supply for residents. Power can prevent residents from overheating and dehydrating. In certain situations, a power supply is necessary for ventilators, heart monitors, and other life-sustaining measures found in nursing homes. Clean, filtered water: it should be made a priority to provide the elderly with clean, safe drinking water. While the younger population can drink tap water, our elderly family members must be more careful as they age. This is because the elderly are more susceptible to bacterial infection and cannot fight off the illnesses they contract from drinking water that hasn’t been properly filtered or bottled in BPA free plastic. Ensuring there is enough bottled water for every resident for a prolonged period of time during a natural disaster is also a non-negotiable provision that must be made in advance. Aside from the list above, patience and compassion must also be constantly on hand. While these are not tangible items that can be provided to nursing home residents, they are no less important than clean drinking water and a backup power supply. And, they are free of charge. In fact, being patient with the elderly is something many nurses and nursing home employees lose sight of several years into their careers. They become tired, or disillusioned after watching residents pass away and feel they can’t get close to future residents without feeling the pain of their loss. This line of thinking is simply not true! The elderly who find themselves needing the care of a nursing facility are often scared and alone; some rarely receive visitors. This vulnerable part of the population look to their caregivers for patience and compassion. Listen to a story a resident wants to tell, hold their hand, or read them a book before bed. All of these things do as much for the health of a senior citizen as medical care.